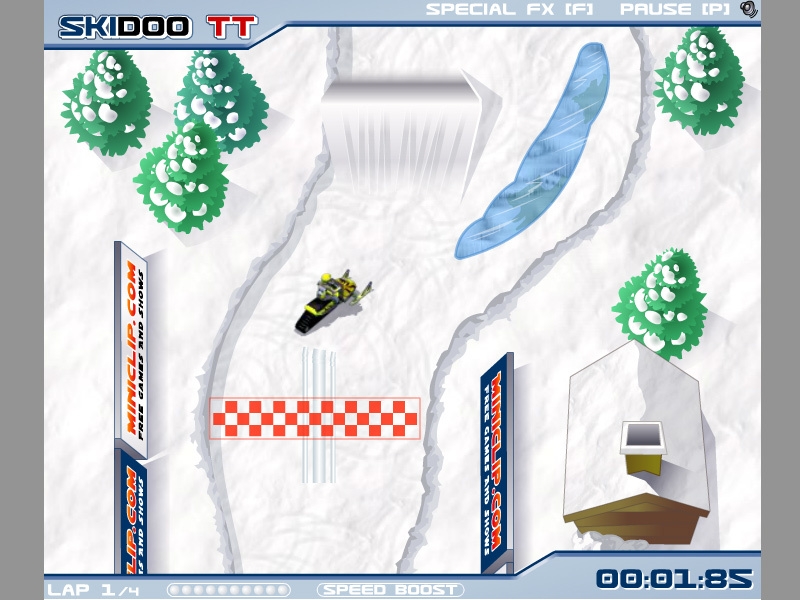 "Ski-Doo Racing" is a small online game about the skidoo sport. Use arrow keys to control the snowmobile. Avoid obstacles and ice areas. Free online game. Sports learning game. How to play Ski-Doo Racing. This is a classic sport game made by miniclip.com. 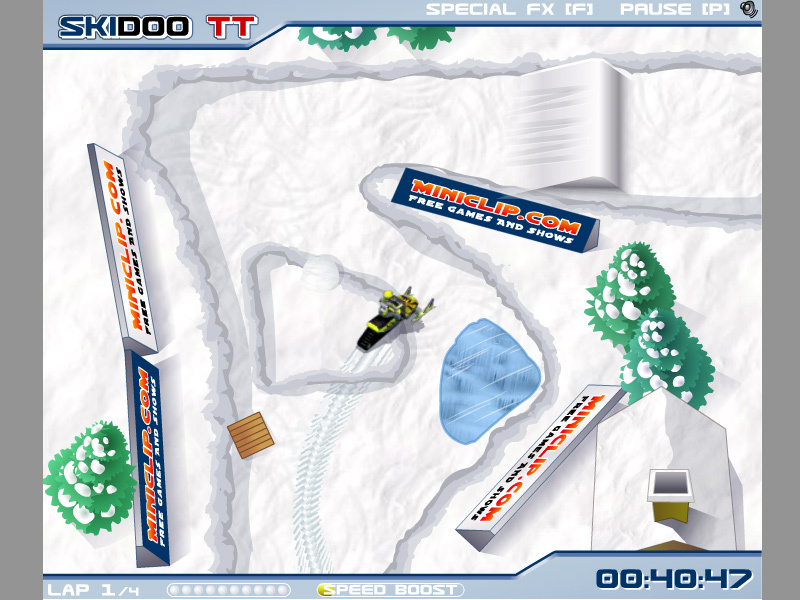 Use arrow keys to control the snowmobile. Avoid obstacles and ice areas. Detailed info of the real Snowmobiling sport is described in the Class subjects section. A snowmobile, also known as a motor sled, motor sledge, or snowmachine, is a motorised vehicle designed for winter travel and recreation on snow. It is designed to be operated on snow and ice and does not require a road or trail, but most are driven on open terrain or trails. Snowmobiling is a sport that many people have taken on as a serious hobby. Labels: Sport Games , Racing Games , Winter Games , Free Online Games.